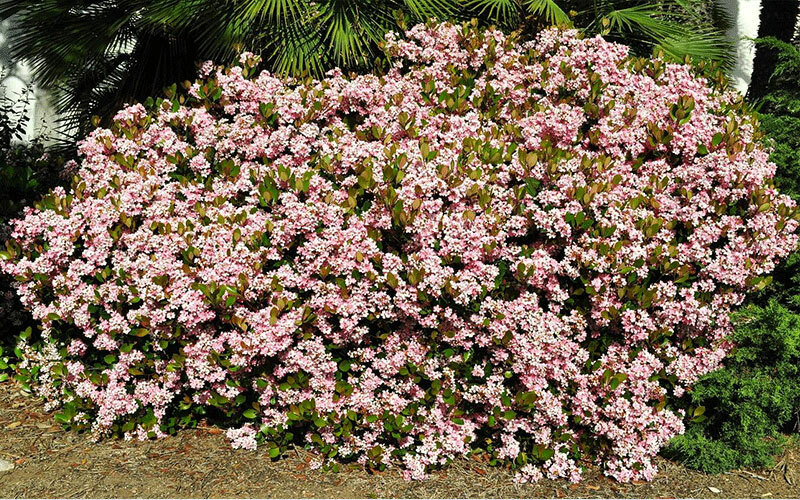 A very low maintenance plant, this small shrub is the perfect plant for the armchair gardener. It goes almost anywhere sun to partial shade and puts up with cold weather and dry conditions. Most of the year, Hawthorne is a handsome plant that grows in a full, mounded form but in spring it's decorated with small white flowers, followed by little blue-black berries that attract birds. Plant Indian Hawthorn's are low maintenance flowering evergreen shrubs that can be used in every landscape plans. 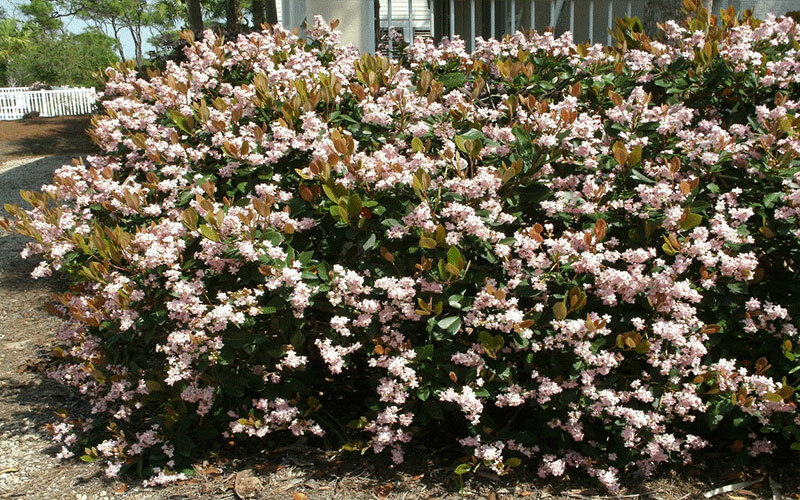 The white flowers are produced in abundance during spring making them an excellent substitute for azaleas in full sun. These are exceptionally drought tolerant plants. The foliage is evergreen. It is best used as a foundation plant and also use them as a border or in groups in sunny beds or on embankments. Plant nursery bought shrubs at a distance to accommodate their size. A mature plant can grow as high and wide as 5 feet. Plant close together to form a hedge. Plant farther apart for a beautiful mounding effect. 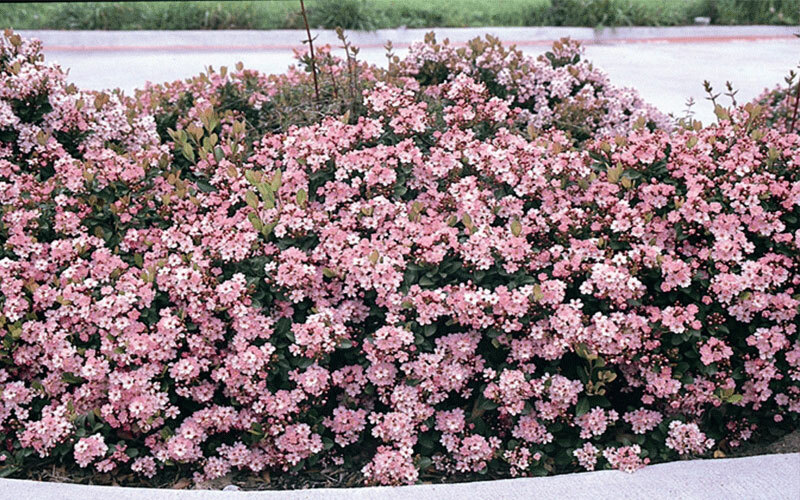 Mulch around the shrubs to retain moisture and water regularly. This plant can tolerate mild drought conditions and does not like excessive watering. Fertilize with an all-purpose fertilizer in the spring before new growth appears. 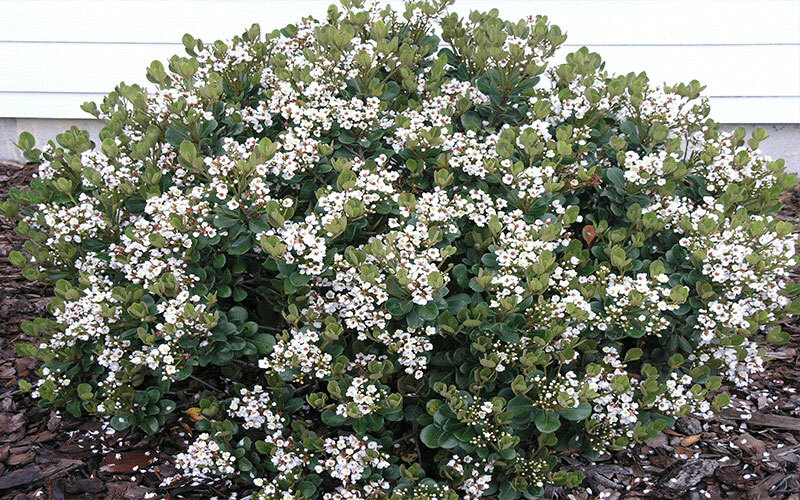 This small evergreen shrub grows slowly to about 2-1/2 feet tall by 3 feet wide. It's cold hardy, salt-tolerant, and moderately drought-tolerant once established. In cooler months, you'll notice an occasional bright red or orange leaf. Spring flowers are brief but very showy.